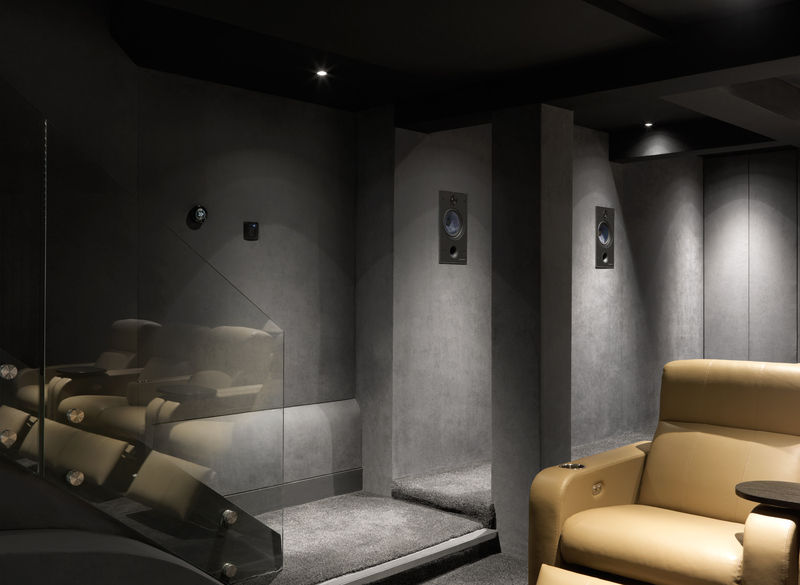 Audio venue were entrusted by their client to design and build a luxury home cinema in the basement of their home in Ealing. 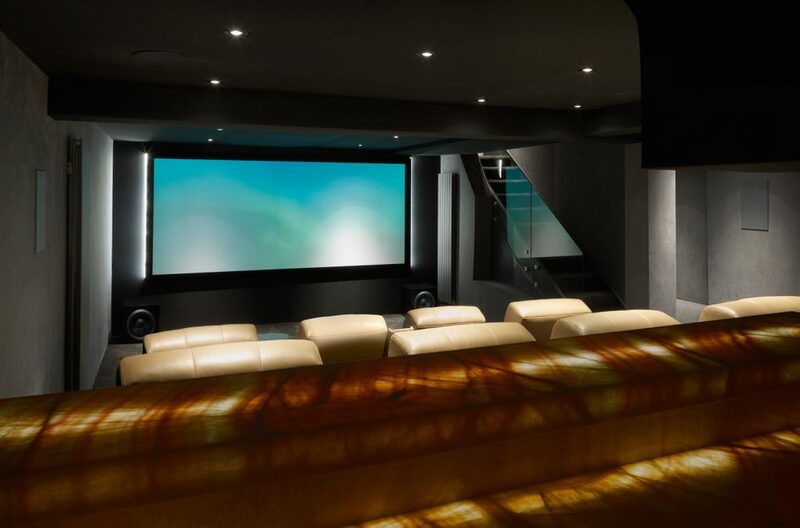 We were approached to fit our stretched fabric system to wall and ceiling. 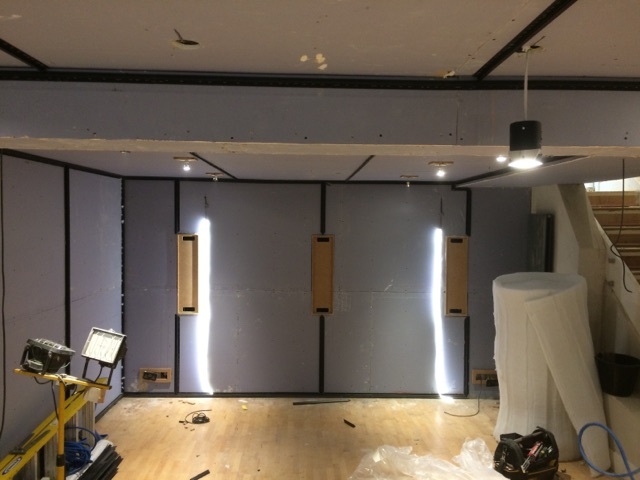 We fitted our 25mm system to all wall areas and in-filled with acoustic foam. 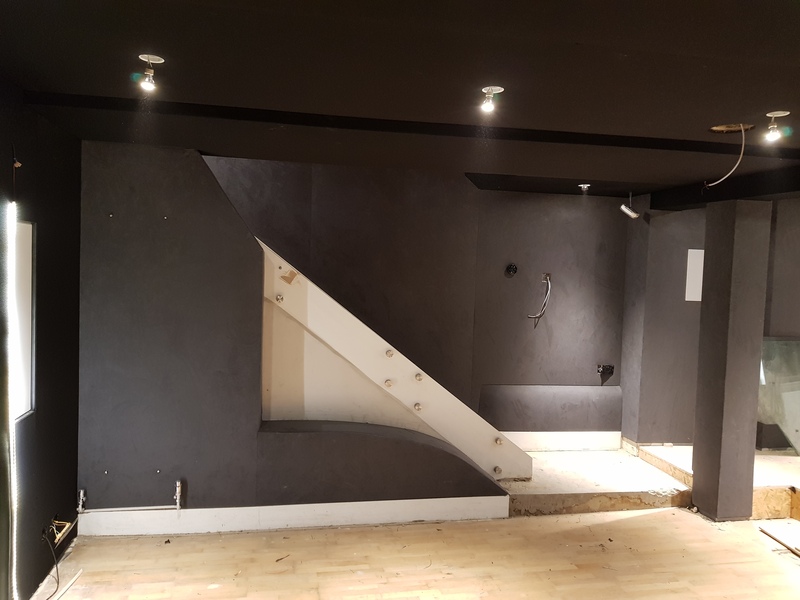 We fitted a luxurious grey suede fabric to side and rear walls. 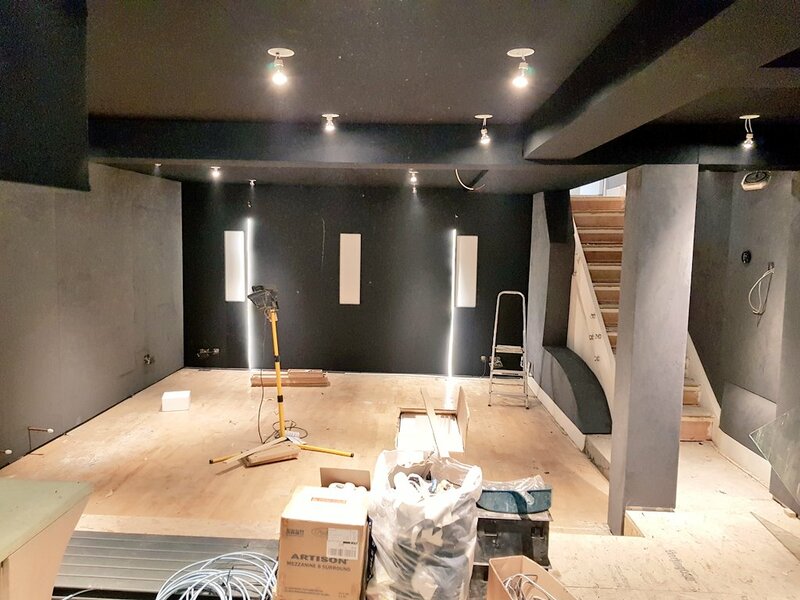 For the screen wall and all ceiling areas our black acoustically transparent fabric was used to conceal speakers and reduce light reflection. There were many architectural details to overcome on this project, including a pillar, boxing around steels and curved sections at the bottom of the stairs. All were covered in fabric in a seamless fashion. 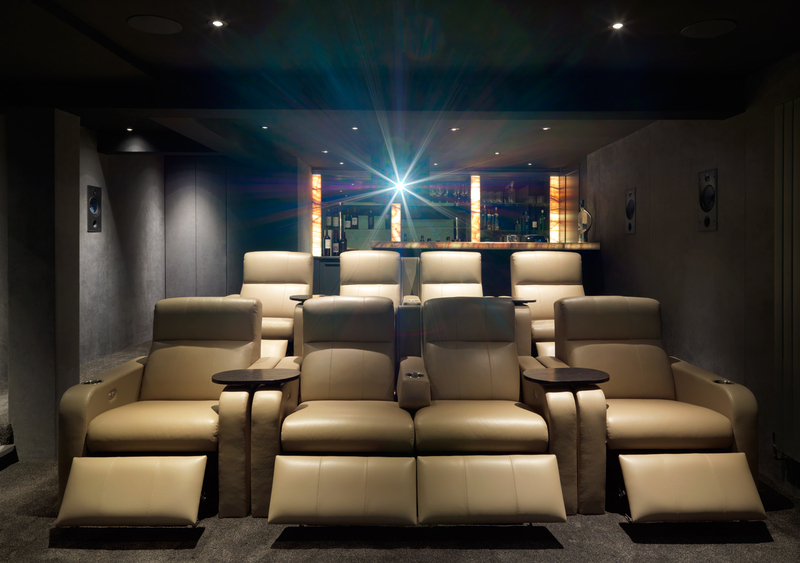 The client was over the moon with the result of their dedicated home cinema room.